Moving to a low-tax state can backfire without the proper planning and documentation. Here's how to avoid any tax traps you may not realize are waiting for you. Moving to another state for lower taxes is an option many people choose, but make sure you're preparing for tax traps that may show up along the way. Well-off people now have more incentive to move from high-tax states to low-tax ones such as Florida, Nevada, or Washington. But high-tax states—New York, California and others—do not like to let go. They want to keep collecting taxes on people they believe have not truly moved away. Your domicile is your main home, the place you intend to live permanently and where you return after traveling. You are automatically a resident in the state where you are domiciled. The burden of proof for establishing a new domicile typically rests with the taxpayer. If you can’t prove it, you can be stuck paying taxes to your old state. Save dated moving receipts, copies of your lease or closing documents on a new residence, and any other supporting evidence that will allow you to establish the timeline of your move. Notify your former state’s tax authorities of your move as soon as possible. Renounce any homestead exemption you might have claimed there. Updating your mailing address, especially for financial accounts and bills. Transferring your voter registration to your new home state and then voting there. Transferring your driver’s license and vehicle registration. Establishing memberships in religious institutions, professional organizations, or clubs in your new state. Selecting a doctor, accountant, or lawyer in your new location. But it’s not foolproof. One man kept a variety of valuable and sentimental items in Florida, but his business and family ties remained in New York. New York was also where he received mail, saw doctors and dentists, and kept most of his clothes. As a result, he lost his case when New York challenged his claim that he was domiciled in income-tax-free Florida. Spouses who live in different states may face an uphill battle in establishing separate domiciles, especially if the states have very different tax regimes. Auditors have also taken advantage of technology in recent years when attempting to determine residency. They now may track cellphone records, review social media feeds, and even look at veterinary records, according to a recent CNBC report. Tech may be able to help keep your estates straight. The Wall Street Journal recently reported on apps that automatically track the owner’s location and can issue alerts if users are approaching a state’s threshold for residency. These apps aren’t foolproof, however. You shouldn’t rely on them exclusively. Auditors know that taxpayers could load the app on a phone and then leave that phone in the state where they want to claim domicile and take a second phone when they travel to their original state. So, while these apps can be helpful, the real problem for most taxpayers is not simply how to count days in a given location (though you should do so in whatever way works for you). Tracking your location is only one piece of a larger puzzle. 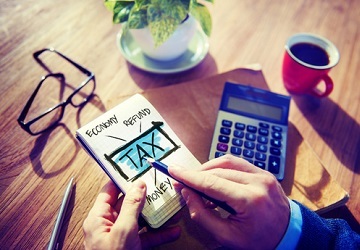 While there is no surefire way to convince the tax authorities that you have left a high-tax state behind, aside from cutting all ties with the previous state, creating a big-picture case with lots of concrete evidence will work in your favor. The more work and effort you put into demonstrating that you really have moved your domicile, the better your odds that it will be an open-and-shut case when the tax authorities come calling.